the New Town, an easy to live in town with lots of green. 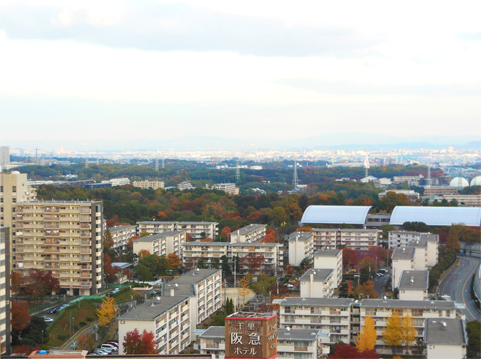 I was born and raised in the New Town of Osaka. The New Town has been developed since the 1960s and is full of residential areas. It's called a "New" Town, but it's been over 50 years since it was developed so the buildings became old, as did the people living there. But, the redevelopment has begun, so young families in the area have increased. There's a lot of nature and it's close to the city, so it's a convenient town I'd love to keep living in. Taiyoo no too "Tower of the Sun"
The road I take to work every day is lined with gingko trees. In fall they turn yellow gold and they are very beautiful. A few years ago, I drove to a place famous for it's fall colors. On the way back, I took this road and thought "This road is more beautiful than that famous place!" But, when the ginkgo nuts fall, it's a little smelly. 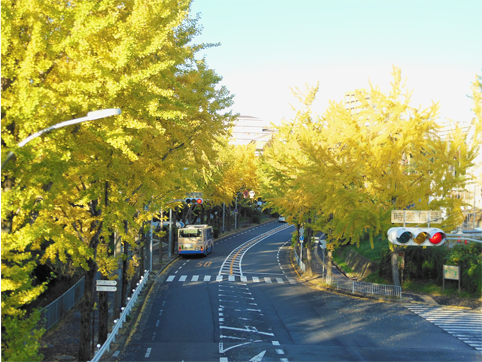 When talking about lines of trees in Japan, it's always Gingko, eh? When someone from out of town visits, it seems like they get lost immediately. It's because all the apartment buildings and houses look similar. There's a lot of houses, but there are also many parks, so it's nice to take a walk. Recently, there has been some redevelopment, with new shopping centers and condominiums, the view of the area has changed. It's sad to see the nostalgic view go, but I'm happy that the town is getting more convenient and pretty. Because I like tall places, I sometimes drive to the mountains of Osaka. I can see where I live, right below the mountain. 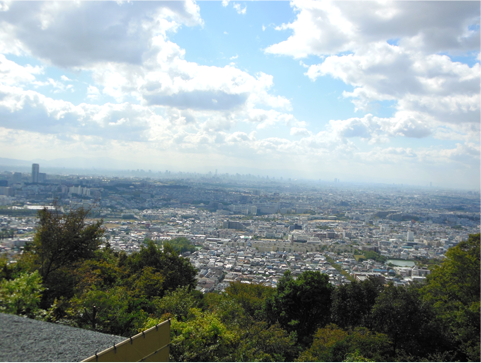 If the weather is good, I can see all the way to the downtown area of Osaka. If I look down on my town from a tall place, I am surprised about how many houses there are, but also about how much green there is. It's fun to search for my house, the park I often go to or other places. When I come up here, I forget about the bad things and I feel like I can start over again new. The Tower of the Sun was made in 1970 as a part of the Themed Pavillion for the Osaka Expo. Even now, it is still at the "Expo Park" which is the remains of the Osaka Expo. 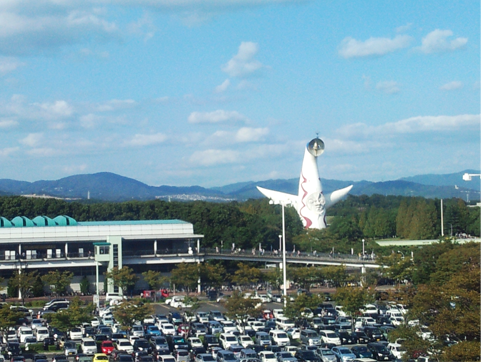 The Osaka Expo was held at a field next to the Senri New Town. When the Expo was decided to be held here, the New Town was also developed. From my house, it takes about 30 minutes on foot to get there. Because it's close by, I always feel like I am protected by the Tower of the Sun. Whenever I come back from a trip, when I see this tower, I feel like "I've returned!" I've been here too! Many times! You can really feel the Tower of the Sun. Yeah, I think it protects. To the Osaka Expo?! I'm jealous! !